Fall is less than a month away and I have already been enjoying pumpkin spice coffee, cakes, and lattes. Call me an early bird, but I am such a Fall enthusiast! I just love the crispy, chilly air, pumpkins, and the need to have my hands wrapped around a warm drink like hot apple cider. Then come all those yummy apple and pumpkin baked goods. What I don’t love about fall is the extra 10 lbs that I feel comes with it! 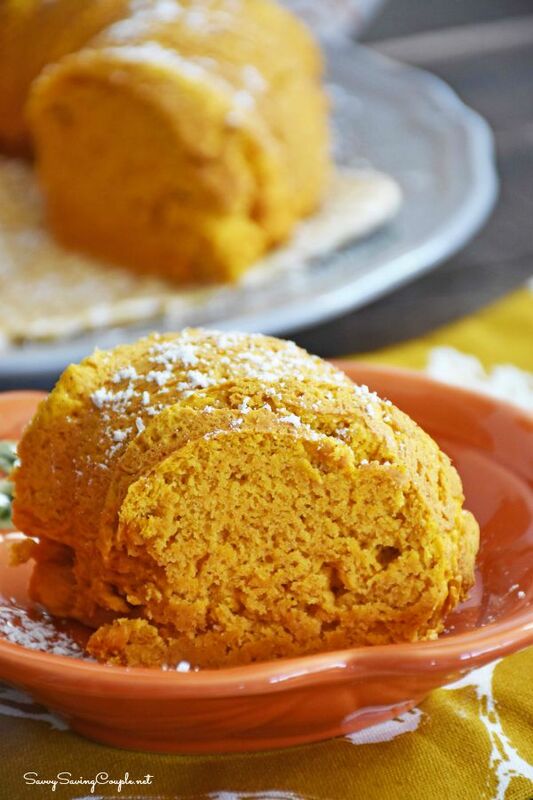 There are just so many delicious and easy pumpkin recipes to be made. That brings me to today’s creation which happens to be ONLY 3 Ingredient Moist Pumpkin Spice Cake. I have always love pumpkin spice cake-and even the boxed version was yummy. However, I didn’t have that or eggs on hand so I decided to follow a suggested recipe and make my own. The final product was a short, and rather bumpy bundt cake. Next time, I will be making this recipe in a loaf cake pan, or 9×9, for presentation. This came out good, but not amazing looks wise. However, the taste? Yeah, that was spot on good! This cake was moist, and totally perfect for a cool fall day! It takes under 30 mins from start to finish and is a real keeper, and “short cut hack” recipe. Pre-Grease a loaf pan, 9 x9 cake pan or a bundt cake pan with non-stick spray. Bake for 25-30 minutes or until a toothpick comes out clean from the center of the cake. 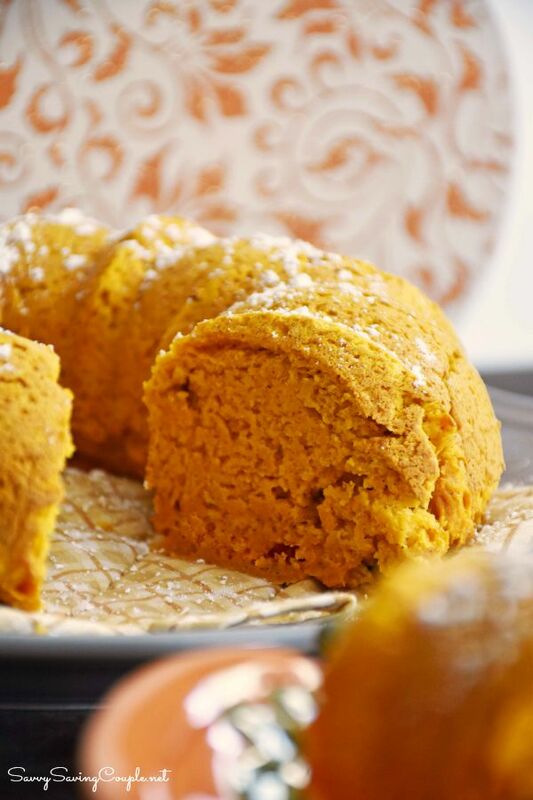 This ONLY 3 Ingredient Moist Pumpkin Spice Cake would also go great with some cream cheese frosting. 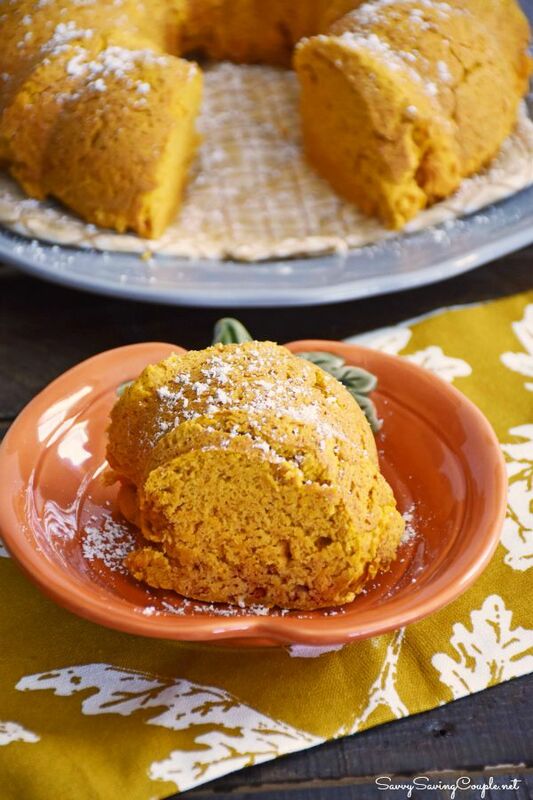 With only 3 ingredients, it is one of the easiest fall desserts for when you do not have eggs, milk, or butter in the house. 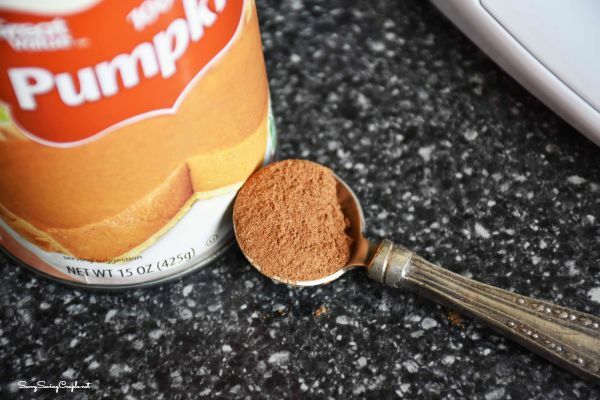 Hooray, it’s Pumpkin Spice season again. I love how simple this recipe is, and it looks so moist! Thanks for sharing! Ahh, pumpkin spice time! This looks very good and easy to make! I have also seen someone use cake mix and pumpkin mixed together to make muffins. I need to try this soon! I think it LOOKS amazing and I 10000% believe that it tastes amazing! I may try this! 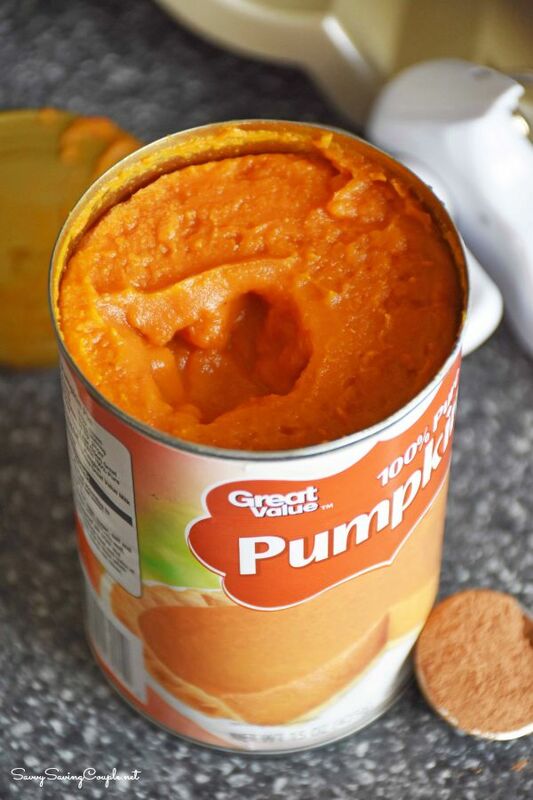 Would fresh pumpkin puree work instead of canned pumpkin? I really do not know? I of course would prefer it myself, but haven’t experimented yet because its too early! I have some left over from last season that got shoved waaayyy back in the freezer that I need to use. I’ll try it and let you know! Why do you say it’s only three ingredients? Have you looked at how many ingredients are in Yellow Cake Mix? I love cake mix recipes! They are so simple and taste so good! OMYum! This looks absolutely amazing! Thank you so much for sharing! Pumpkin means fall is coming!! This sounds like an amazing cake, I love how easy it is to make! This will be on my list of things to make this fall. 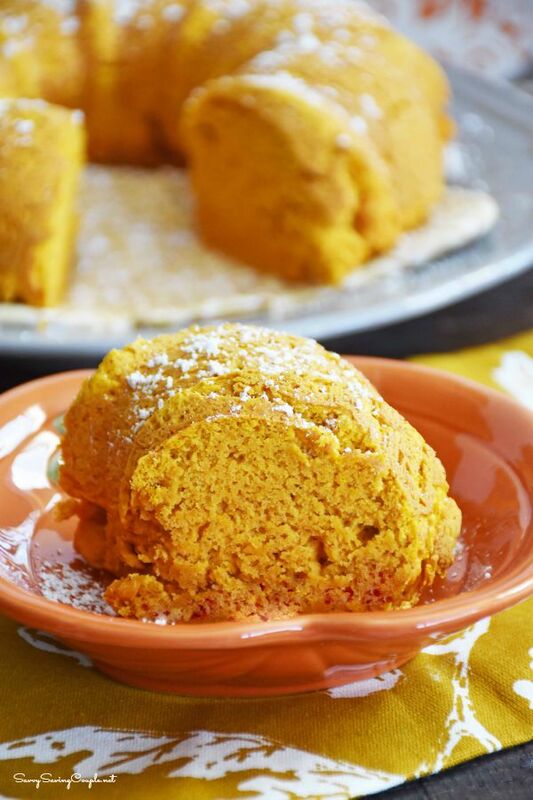 You can’t go wrong with Pumpkin. Tis the season! This sounds so yummy! I love pumpkinn spice cake so much! Can’t wait for fall. All the pumpkin flavored treats will be MINE!